Thank you to everyone who replied to our survey; a summary report can be found online. The EMB Working Group on Research Vessels will assess the progress made towards collaboration and interoperability, taking into account the significant technological advancements in autonomous sampling, wider technology and emerging areas of activity. It will take stock of new developments and capabilities in Research Vessels and heavy equipment, and assess next generation developments and requirements for scientific research going forward. The Marine Board - ESF Position Paper 10 European Ocean Research Fleets – Towards a Common Strategy and Enhanced Use" of March 2007 included an inventory and description of the existing fleets, and recommendations on their enhanced use and management at pan-European level. At the time it was estimated that in the European Union, half of the national budgets for marine science was spent on operating and replacing marine infrastructure assets including research vessels. Ten years on, the research landscape has evolved and there have been significant technological advancements adding new methods for autonomous sampling and observing our ocean. 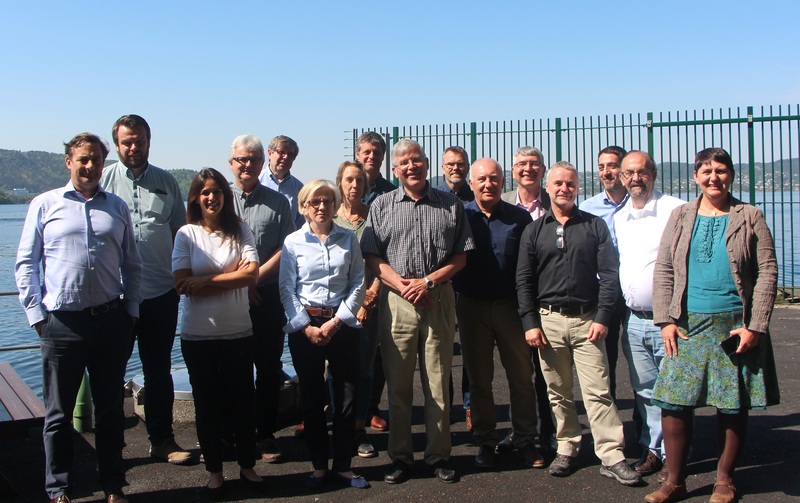 The European Marine Board and the European Research Vessel Operators (ERVO), decided that a new foresight activity on European Research Vessels should be initiated to produce a new foresight report, assessing the progress made towards collaboration and interoperability and taking into account the latest technology and emerging areas of activity. At a European level, there are a number of initiatives that exist to document the European fleet (e.g. EurOcean Research Vessel infobase, Research Infrastructure Database, Eurofleets) and to strengthen and enhance collaboration, access and interoperability of the European Research Fleet (e.g. European Research Vessel Operators, Ocean Facilities Exchange Group (OFEG), Eurofleets, Eurofleets 2). The Eurofleets project, funded under the Infrastructures section of the FP7 Framework, ran from 2009-2013, and was followed by Eurofleets 2 in 2013-2017, also under the FP7 Framework. In addition, the upcoming ARICE (Arctic Research Icebreaker Consortium for Europe) Project will focus on the European polar research vessel component. It is noted however that while these projects are generally focused on particular aspects of Research Vessel design, operation and use, it is the intention of this EMB activity to conduct a comprehensive review of the subject and provide strategy and direction for Europe. Explore options for enhancing the European Research Fleet capability as a world-class infrastructure resource for the international marine research community and finding ways to further enhance existing collaboration between projects, networks and nations to enhance access, training and interoperability opportunities, and hence cost-efficient use of these valuable resources.